You think your job is easy until you come across people who literally put themselves in risk for their jobs. Dealing with the physical construction of the building and infrastructure, the construction workers are always in accident-prone surroundings. With larger buildings, dangerous objects, temporary structures, and height, it can get very risky. In an environment like that, you need a watch that is rugged and can go through all of this. Not every expensive and stylish looking watch is made tough enough to take a beating, so we have researched and shortlisted some of the best durable watches for construction workers. Many jobs these days require physical exertion but also a watch that is stylish and worth looking at. But if your body is pounding constantly, you are going to need a watch that is tougher than an average watch. You need a watch that fits perfectly and can be summed up like this: ‘The ability to take a licking and still keeps on ticking’. Construction workers wear hard hats, eye protectors, high visibility clothes, boots for protection and precaution and they miss out on how useful a watch is in these jobs. 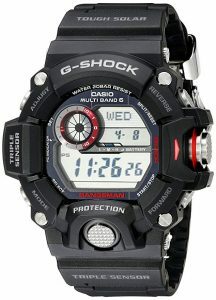 Casio’s G-Shock is popular and known for its resilience. 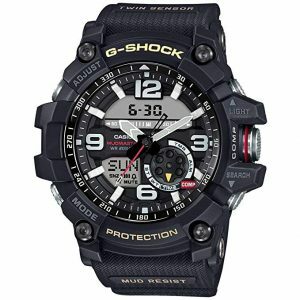 Not is it just perfect for a job in construction, but policemen, fire officers, and military men use G-Shock. G-Shock has never disappointed its customers with its reliability and durability and that is exactly why it is still the number one choice for a job like this. This watch is highly shock resistant and shock resistance being the most important factor, this wins it. It has a case made of stainless steel and a band made of resin. It is water resistant up to 200 meters. It has a day and date display for easy use. It features a compass, barometer and also a thermometer. It has very long battery life. This model stays charged up for 7 months which makes it stand out even in the solar powered watches. Ans this feature of this watch makes it very compatible with the construction work. If you are looking for a watch that looks tough and expensive at the same but comes in your budget, well you are at the right place. 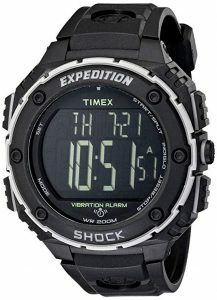 Timex has manufactured watches after watches with features that are just right for the construction job. It is a certified shock resistant watch according to I.S.O standards that have gone through all the tests before it reaches you. The feature Indigo Backlight will never make it difficult for you to see the time in dark ever. 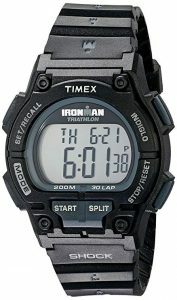 It is water resistant up to 200 meters which means you can take it to a swim in a pool when you are tired of the work. It is available in a variety of colors and designs so it is just impossible to decide which one to wear every day. Thanks to this amazing, tough and rugged watch you won’t have to worry about breaking the watch in the hard-core working area. Timex has been known for its reliability since forever and If there is anything, we are sure of, it’s that they don’t lie to their customers. It comes with a compass you don’t lose your way and always have a compass when you need one. Working in the sun at the construction site is not a cup of tea, you need a hydration alarm as well. And guess what, this one has that as well. This watch is made for large, manly wrist but the best thing about it is you don’t numb your hand wearing all day because of its light weightiness. It’s not that pricey either so you don’t have to worry about falling and breaking it. Timex never disappoints us with its quality. I won’t be surprised at all even if all of the top watches were from Casio G-Shock. It’s because of the impression that it has developed over the years and the fact that the customers have never been led down ever. 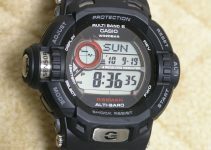 So, here is another watch from Casio which comes in the best durable watches for construction workers. It has a 56mm analog-digital hybrid with a case and band made of resin. It has an LED backlight to ease you in the dark. A stopwatch for your convenience. It is shock resistant and super sturdy. Who said G-Shock doesn’t have any cons? The watch is huge and doesn’t fit everybody. The display can be hard to read in low light. 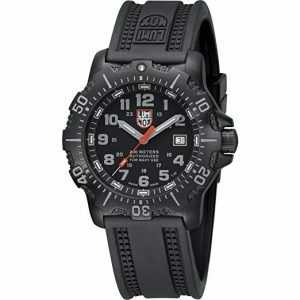 Luminox is one of those companies in the world that is known its tough watches. If the watch is good enough for the military, it can go through any rough adventurous job in the world. Especially its ANU (Authorized for Navy Use) series. This watch is designed for some of the most top-notch dangerous jobs in the world. 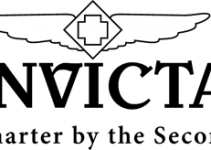 Luminox has three series: Land, Sea, and Air. It has a night time feature which allows you to easily read the time in the dark. It is water resistant up to 200 meters which makes it a perfect companion for a dip in the water. It has a scratch-resistant sapphire dial because obviously, you can only imagine how many scratches your watch is going to get during the construction work. Now that we have the best durable watches for construction workers, we should have an idea of what construction watches are and what are the requirements that make them fit for this tough job. these features are the criteria on which we select the best durable watches for construction workers. Durability is the number one factor that we keep in mind before buying a watch for this job. It should have high shock absorbing properties and should be able to withhold high impact strength. You don’t want to divide your attention between protecting yourself and the watch. The fact that you will be wearing the watch every day 24/7 means that you can’t replace it every now and then. So, in addition to the fact that it has to be durable, the watch must not be very pricey either. 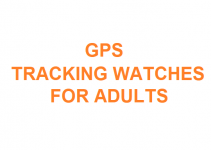 The watch must be affordable enough that you shouldn’t have to worry if anything happens to it. You are not a swimmer but you never know when you will have to dip your hand in a pool of water to get something. So, your watch must, at least, b 100m water resistant so it doesn’t stand in your way of working. Of course, if you are going to wear it all day, you need something that is elegant and stylish with being rugged and tough. The design should fit every outfit of yours, making it versatile. Taken into account prices, features, and all the specifications and select a watch for yourself that will stand by your side no matter what. You don’t want to be constantly worried about the watch when you have other things to focus on. Everyone has their own preferences. If someone wants a watch that is stylish and sturdy may be the other wants a watch that has more advanced specifications. But as long as the watch is able to withstand whatever comes in its way during construction work, I think you got the right watch.